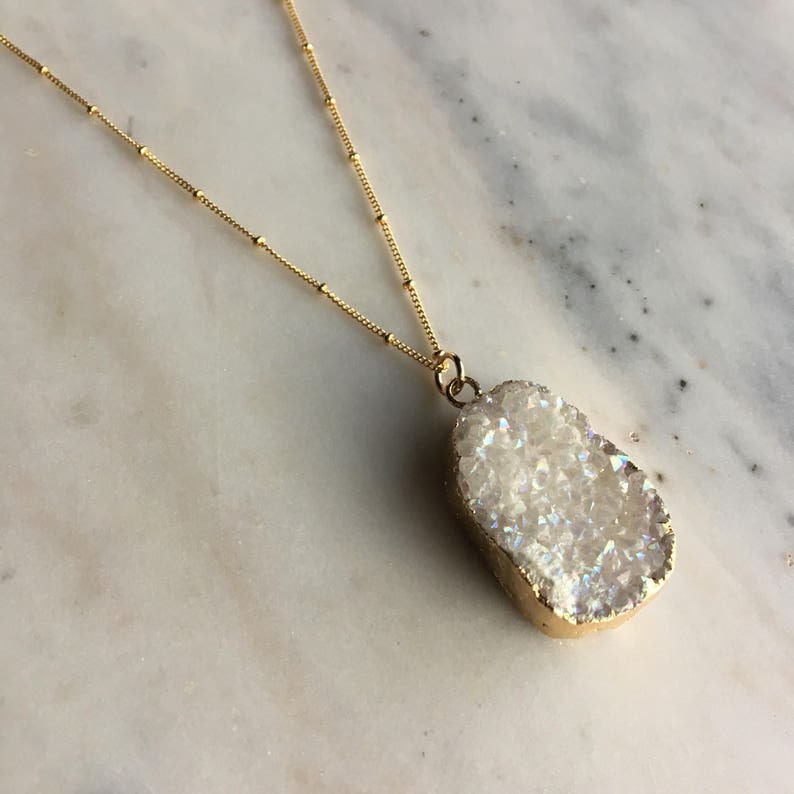 A pretty combination of a natural druzy pendant encased in gold and long gold dipped satellite chain. Natural, druzy stone is vapor coated with titanium to bring out a brilliant, consistent color. Druzy gemstone pendant will look similar to the picture, but as no two are exactly alike, it may differ slightly. Druzy is a coating of fine crystals that form on a rock fracture surface and produce the appearance of sugar or glittering stardust, depending on the size of the crystals. It is a naturally occurring gemstone, and as such, each will vary in shape, size and color with beautiful natural imperfections.